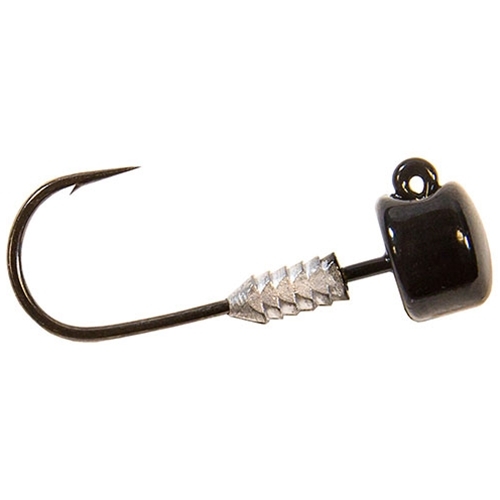 Designed specifically for Midwest finesse Ned RIg applications around heavy cover or high current areas that call for stouter tackle, TT Lures NedlockZ HD Jigheads are equipped with extra-heavy duty Mustad UltraPoint hooks that allow for heavier tackle and drag settings than standard FInesse ShroomZ jigheads. Featuring a signature mushroom-shaped head preferred by finesse enthusiasts and innovative split keeper that easily rigs and holds both ELaZtech and conventional soft plastics securely in place, they're the next breakthrough tool in Z-Man's incredibly popular Ned Rig lineup. Just add your favorite ELaZtech finesse bait, and hang on!